Loki and Wolzard were both wolf motifs, Wolzard and Gaizorg wear violet. That is a bitchin' suit. I think Gaizorg's "dinosaur" is a mammoth. It's official. The purple armored knight is GAISORG according to the scans. Gaisorg is a portmanteau of the Japanese word "gaiso" which means to equip armor, and cyborg. KishiRyuOh’s design, especially now that we’ve seen clearer shots of the suit, suggests to me a particular consideration for ease of movement. I hope this means we’ll see some ambitious mecha action. And these are the villainous Druidon! The muscular Tankjou and the trickster Kureon, plus a legion of their Dorun soldiers. You're safe. I found some pictures earlier today (Twitter? ), and they're each the same knight helmet. The only look a little different due to the visible dino-head part on the side of the head. They actually might look decent in KishiRyuOh, but it's definitely the same face. I don't recall whether it was even painted, or just cast in the same silver/gray as the RyuSoul. Would like to point out a correction that the big bad guy's name is Tankjou according to the katakana writing on the scan. The name is most likely a portmanteau of tank and jou(the kanji pronunciation or kan-on for castle in Japanese), which makes sense cause he has a castle motif with a big cannon sticking out of his chest. Creon is most likely a portmanteau of either creature and freon or creation and freon. Freon is the name used by some for what is Chlorofluorocarbon. And since Creon is the one that will be creating the monster of the week, if my assumptions are true, maybe Creon will be using some sort of spore or gas method to turn people into Mynasaurs. Probably explains why he looks like a distorted mushroom with limbs. And lastly my guess is that the word Mynasaur could be a portmanteau of minion, dyna-, and dinosaur. Last edited by Sunred; 02-05-2019 at 05:56 AM..
Creon is most likely a portmanteau of either creature and freon or creation and freon. Freon is the name used by some for what is Chlorofluorocarbon. And since Creon is the one that will be creating the monster of the week, if my assumptions are true, maybre Creon will be using some sort of spore or gas method to turn people into Mynasaurs. Probably explains why he looks like a distorted mushroom with limbs. ...How much time did you spend to get this information? Tankjou is actually a good design! He looks like he has a castle motif to him, and is a virtual brute, but I have a hard time accepting him as the series "Big Bad"! Creon doesn't interest me in the slightest. Kinda "meh"! The footsoldiers look to have a chess theme to them, and it reminds me of the chess-themed villains of the Shadow Line from ToQger! Turning humans into Monsters is a different approach, and begs a question: Will the humans survive when the "Monster Form" is "destroyed"? 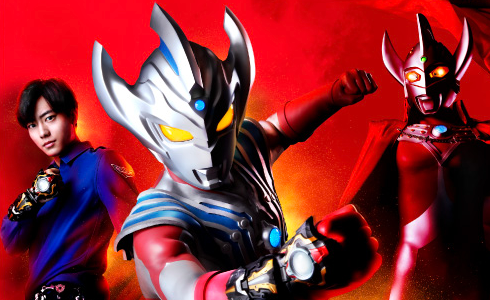 Will this be a mix between Kamen Rider W and Ultraman Cosmos, in which the villain is defeated and the innocent is technically saved (the "innocents" in W were criminals who were arrested afterwards, but still)? A Sentai that freely blows-up mutated humans will surely not work given the nature of Modern Sentai!